The theme for this year is musical instruments. So many unused instruments are languishing in lofts and cupboards. The idea is to collect these and pass them on to organisations who will use them. 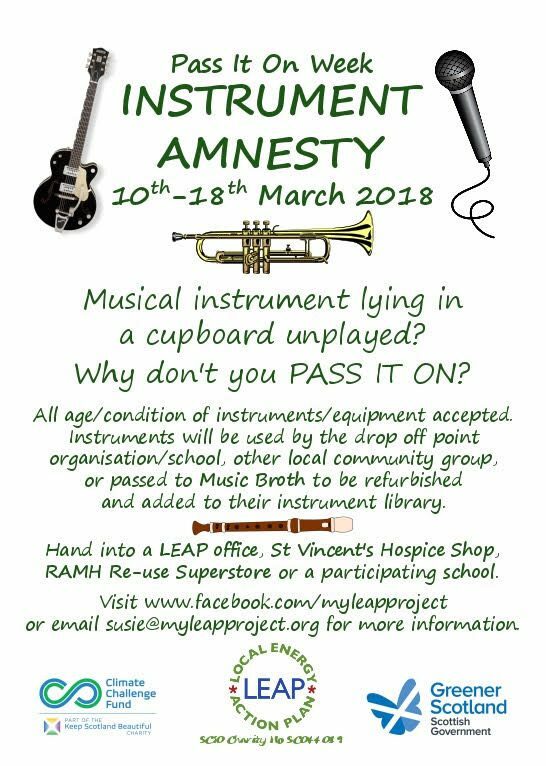 LEAP will be a collection point and we will be partnering with Music Broth a new Glasgow based charity, who lend out musical instruments.